The braces allow for great mobility, yet supreme support. 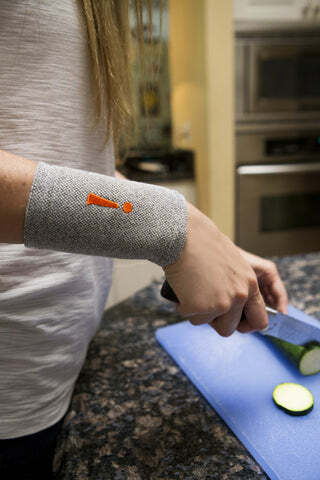 Unlike other products that only support, Incrediwear braces have a patented organic germanium bamboo charcoal blend that is ideal for anyone experiencing discomfort, inflammation and swelling related to circulatory issues. Our braces are great for post recovery, and reducing fatigue and pain in over worked muscles and joints. These braces are the ideal choice for the active, inactive, sports enthusiasts, or those just seeking the best comfort available in a medically designed brace. Sizing measured based on circumference of wrist. 37% Cotton (Germanium Infused), 33% Nylon (Germanium Infused), 28% Polyester (Carbon Infused), 5% Lycra Spandex.